The announcement effectively blocks Princess Ubolratana's unprecedented bid for the premiership and comes after an extraordinary rebuke of the candidacy by her younger brother, King Maha Vajiralongkorn. The Thai Raksa Chart party, affiliated with the powerful Shinawatra political clan, announced the princess as their candidate on Friday morning. The move looked to rattle the status quo and threaten the ambitions of the junta that has ruled Thailand since it toppled the administration of Yingluck Shinawatra in a 2014 coup. But the Thai king torpedoed the bid in a sharply worded statement the same day that said bringing senior royal family members into politics is against tradition, national culture and "highly inappropriate." 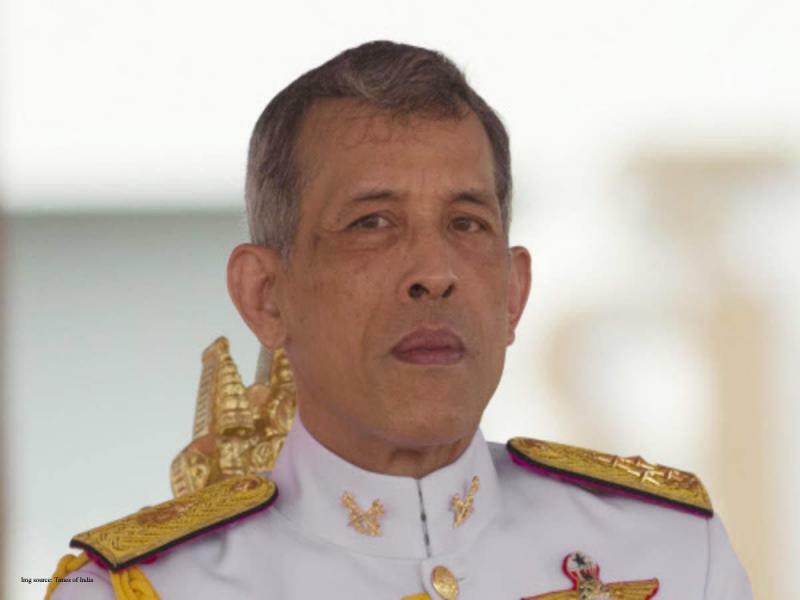 Thai Raksa Chart responded swiftly, cancelling a campaign event on Saturday and issuing a statement saying it would respect "tradition and royal customs". "Thai Raksa Chart party complies with the royal command", it said. Thailand has some of the most severe lese majeste laws in the world and the king's word is considered final. Royalist Thais and celebrities praised the intervention on social media after the order, writing "long live the king". Analysts believe the events that unfolded over the past day will help the junta consolidate power and tilt the odds in favour of coup leader Prayut Chan-O-Cha. Prayut is standing as premier for the Phalang Pracharat party, a group aligned with the regime. The military has "gained the upper hand", said professor Anusorn Unno from Thammasat University, adding that it is poised to perform well in the upcoming vote. The election on March 24 is the first since the 2014 coup. Even before Thai Raksa Chart's reversal, many warned the palace statement had scuttled the princess' chances. "The palace disapproval invalidates her candidacy," said Puangthong Pawakapan, professor of political science at Chulalongkorn University. Thailand is a constitutional monarchy and has not had a royal run for frontline office since 1932. The 67-year-old princess did not address the royal rebuke head-on when she thanked supporters on Saturday on her widely followed Instagram account, saying vaguely that she wanted Thailand to "move forward". The king did not criticise the princess directly and seemed to focus blame on political party members who brought her on board. Thai Raksa Chart is aligned with Yingluck and her brother Thaksin, who was ousted by the army in 2006. Both live in self-exile to avoid charges they say are politically motivated. Observers assumed Thaksin and the party would not have taken the princess on board without royal approval. But the bold play appears to have backfired dramatically on Thaksin. "After last night the king's intervention had an effect of discrediting Thaksin," Anusorn said. Ubolratana gave up her royal titles when she married an American decades ago, but they divorced and she moved back to Thailand. The first-born of the former king is an unusually public figure for a royal, having starred in movies and dished out advice to nearly 100,000 followers on Instagram.